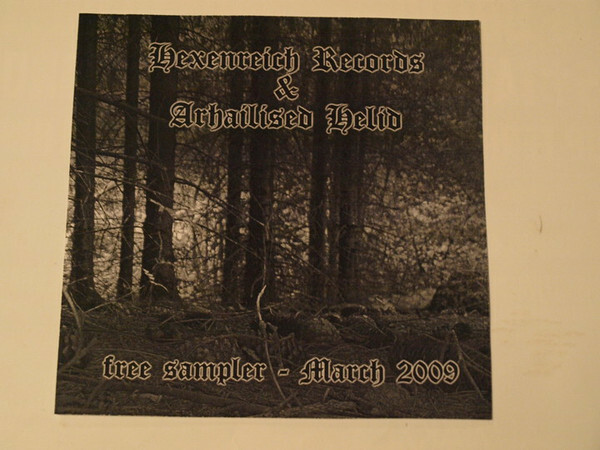 Format: A promotional CDr jointly released on the Hexenreich and Arhailised Helid labels (Estonia) in – believe it or not – March 2009. It has a card sleeve and silver disc, and promoted bands with releases on those labels back in the day. Here’s a quick post to kick-start the month of December and the run up to the festive season. And gosh, it’s been a while since one of these Hexenreich CDr’s appeared on Honour and Darkness: you have to go back to December 2010 for the last time such a sampler was featured in fact. 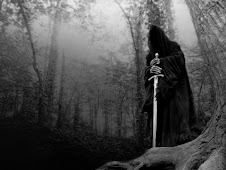 7 years ago – how you’ve all put up with Nazgul’s endless wittering for all this time I will never know, but thank you for sticking around! It’s the sort of a disc that Hexenreich would have popped into your mail order back in the day, and that by and large was probably listened to once (if at all) by the recipient before being discarded somewhere as an unimportant souvenir of that particular purchase. Which is a shame, as they act as little time-capsules really, telling you what bands were on the label(s) at the time and where in their recording history they had reached. 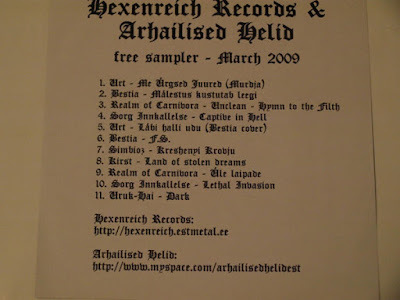 As is the case with the Uruk Hai song that props up the 11 tracks on offer: ‘Dark’ was one of the bonus songs on the original tape release of “Northern Lights” on the Hexenreich label, albeit that is was actually released in 2005 so quite some time before this promotional item was dreamt up. As to the rest of the sampler, I have to confess not to be familiar with most of the rest of the bands, though a combination of the words ‘noisy’, ‘black metal’, ‘folk’ and Viking metal’ would probably cover most of the bases. The reason for this unfamiliarity is that this is one of those troublesome releases that currently is not housed within the Castle Nazgul vaults, so if you have access to a copy that you’re looking to sell then you know how to make Nazgul’s Christmas a brighter place!